Can't really bury the lede after a title like that, can I? Best to just get into it. 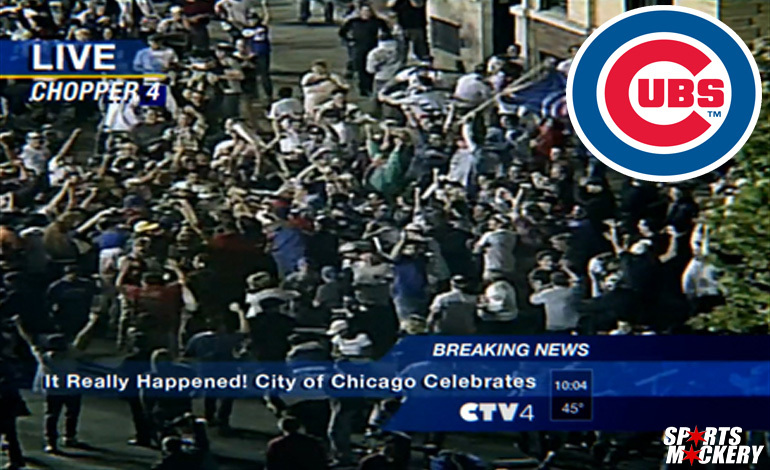 Yes, I will say that again: The Chicago Cubs will be the 2016 World Series champions. That's right, you heard it here first. No take-backsies. Stock up on tshirts with the names and faces of this year's Cubs team. Grab a scorecard from every game you attend this year. Go ahead and splurge on that Jason Heyward Chinese knockoff jersey you've had your eye on. His name will be part of Cubs legend forever even if he opts out after 3 years. This team will do it. They're better than you think. Yes, even better than that. It doesn't seem like it would be going out on too far a limb to predict a World Series win for a team that is the current Vegas favorite (7/1 odds) to do so. But the Cubs just aren't any average team, are they? Especially when it comes to being favorites for anything and especially especially when it comes to winning a pennant, let alone a championship. Yes, I remember 2003. 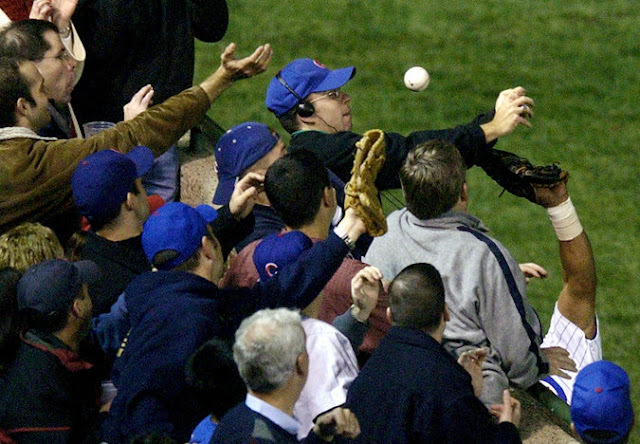 And I remember how the events of 2003 weighed down both the 2007 and (even moreso) the 2008 Cubs when the playoffs rolled around. You could tell watching those teams that the pressure to get even one playoff win was so high got into their heads and they played tight and nervous. I knew then that the next Cubs team that would actually have a chance at getting to a World Series would have to be young enough to not know that pressure. Or be young enough not to care. And isn't that what we got last season? Even with the addition of Jon Lester in the offseason, 2015 was supposed to be the year the Cubs got to ease their young players into the big leagues and hey, if they finished at or near .500, the season would be a success. Instead the team was powered by equally valuable rookie seasons by Kris Bryant, Addison Russell and Kyle Schwarber en route to a surprising 97 wins, and even more surprising Wild Card win and an even more surprising NLDS win over the Cardinals. Think about that. The Cubs of last season won 97 games. I feel like a lot of people might not realize how good that truly is because it was somehow only good enough for THIRD PLACE in the NL Central. So not only did this young and talented team come within striking distance of 100 wins, but they also got some big game playoff pressure experience? Got humbled enough in the NLCS to be hungry as hell the next season? How can things get any better than that? Things did get better than that. A whole lot better in a lot of ways. They Heyward signing, the Castro trade and the Zobrist signing may have made a lot of people believe in the Cubs' chances, but not me. I was on board before any of that. Not that I'm complaining! Far from it. But even before all of those moves happened, there was still a really good chance that the 2016 Cubs were going to be much better anyway fielding a pretty similar team to the one they had in 2015. THAT'S the reason I'm predicting the Cubs to win the World Series more than any other. I feel like the Heyward/Zobrist/Warren/Lackey additions have stolen all the headlines (and rightfully so) and left a lot of people forgetting about a whooooole lot of other reasons the Cubs will be much better than you think. Talk about an up and down season! Every month he was either Zack Greinke's power mullet or Alfredo Simon's doughy midsection without much in between. 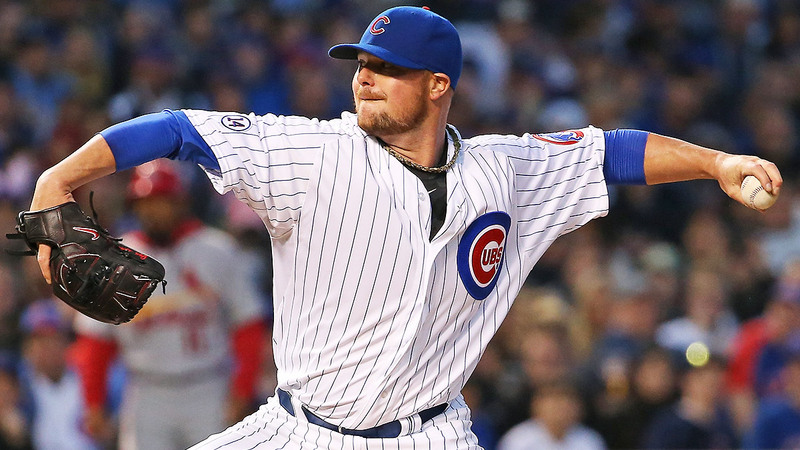 But don't forget, Lester posted a 2.46 ERA for the 2014 season, so there's a lot of reason to think he could be much better in 2016. Aside from a 2% increase in home run rate, there really isn't a whole lot of difference between Lester's 2014 and 2015. And the same can be said of the playoffs. Now we're talking about a small sample size of 2 games, but Lester's ERA in the 2015 postseason (4.50) was definitely higher than the mark he's had across his postseason career (2.85). My Prediction: Lester has a season not quite as good as his 2014 and not nearly as uneven as his 2015. Let's split the difference with an ERA around 2.90. Spread that across 200 innings and throw in north of 200 strikeouts and a handful of clutch playoff performances and you've got yourself a true second ace behind Jake Arrieta in the Cubs rotation. No matter what your expectations were for them in 2015, I think it's safe to say that the rookie triumvirate of Bryant/Schwarber/Russell were better than any of us could have hoped for so early in their careers. And while last year was better than expected faster than expected, is it really that hard to imagine those three getting better in 2016? It took a little while for Bryant to really get going with the home run ball, not hitting his first homer until his 21st major league game. That would turn out to be the longest Bryant would go without a home run on his way to clearing the fences 27 times to go along with 99 RBI. So what can Bryant do for an encore? How about 40 homers in 2016? It's certainly possible. Bryant had a very respectable .213 ISO last season (ISO = how hard you can crush a baseball), which put him alongside guys like Jose Abreu and Ryan Braun. Those to aren't anything to sneeze at in the home run department, but Bryant showed in the minor leagues that he's got another level of power to potentially tap into. Bryant's ISO in the minor leagues was .342. To give you a comparison, last season NL MVP Bryce Harper led the league with a .319 ISO and popped 42 homers. Giancarlo Stanton had an ISO of .346 halfway through the season before a broken hand caused him to miss the second half and that mark had him on pace for 60+ homers. Now obviously the majors are tougher than the minors, so take that .342 minor league ISO with a grain of salt. But it does show you that the potential for 40 homers is there. If Bryant can cut down the strikeouts by just a hair and raise that ISO up into the .240-.260 range, he could clear the 40 homer mark with ease. And did you see Bryant's August and September? He ended the season on quite the tear, slashing .333/.403/.589 during the season's final two months. Now I don't think that Bryant will hit .333 any time in the future, but those other two marks look pretty sustainable and it could be a sign of Kris finally finding his groove against Major League pitching on his way to a monster 2016. 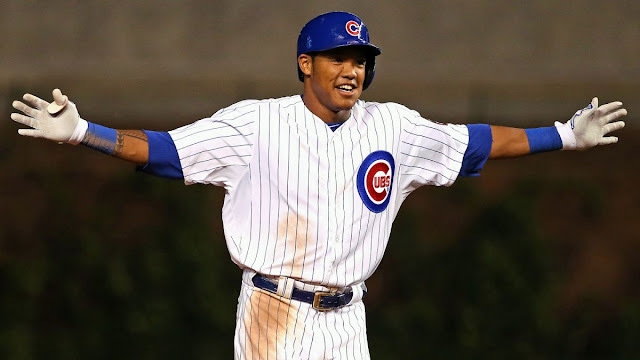 The name that seemed to always come up as an accurate comparison for the Major League upside of Addison Russell? How about Hall of Famer Barry Larkin? No biggie, right? And from what we've seen of Russell in the minors and majors so far, it doesn't seem like too much of a stretch. At his best, Larkin was good for 15-20 homers, 25+ steals and an OBP above .360, all while chipping in Gold Glove defense at short. Russell is nowhere near his prime yet. He could turn into a 22 homer/15 steal Gold Glover as soon as this season. Guys that can do that with a strikeout rate under 25% don't grow on trees. Seeing Russell improve every single year for the next 3-4 seasons isn't that crazy of a thought. It should definitely be terrifying for the rest of the National League though. And all we had to do was trade Hot Diarrhea Geyser for him? AND we got to see that very same HDG spew filth and home runs all over the 2015 White Sox season? That's almost unfair! And now we come to The Big Toe (I heard that somewhere on Twitter and I feel like it's the perfect nickname for Kyle Schwarber. Right? How is that guy not Big Toe material? IT IS DECIDED). There isn't a whole lot to say about Schwarber that you don't already know. The dude rakes. He's raked at every single stop in the minor leagues and he rakes in the majors, both in the regular season and the postseason. In the Wild Card game, Big Toe crushed Gerrit Cole. In the NLDS, Big Toe crushed Wacha and Siegrist. In the NLCS, Big Toe crushed Matt Harvey. And for an encore? Big Toe crushed Jacob deGrom on a pitch that was ALMOST A FOOT OUTSIDE. He's got the quickest left handed bat I've seen in recent memory. Yeah, he strikes out a lot, but he also works the count and takes a bunch of walks. It's not out of the question to think that he has a David Ortiz-like ceiling. But let's say that Schwarber doesn't take a step forward this season. Let's all be Debbie Downers and say that Schwarber doesn't improve and simply produces exactly as he did last season, only for an entire season and not just the 69 games we saw in 2015. That would still come out to an OBP of .355 and about 27-30 homers. Again, that's what we could expect out of Schwarber if he didn't improve upon his age 22 season. 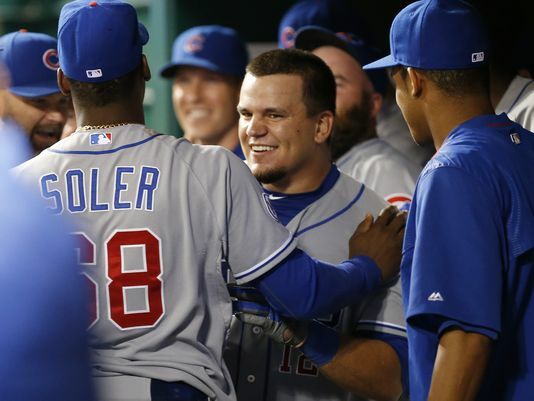 But is there room for Schwarber to improve? Absolutely, especially when it comes to the average department. Schwarber hit just .246 last year, which isn't surprising considering he struck out 28% of the time. But Schwarber also hit .333 for his minor league career, so seeing him take a step forward to the .260 or even .270 range wouldn't be too surprising, especially if he can cut that strikeout rate down. He might not be able to get down to the 20% rate he saw in the minors, but 23% isn't out of the question. And again, Schwarber was the age of a college senior last year. 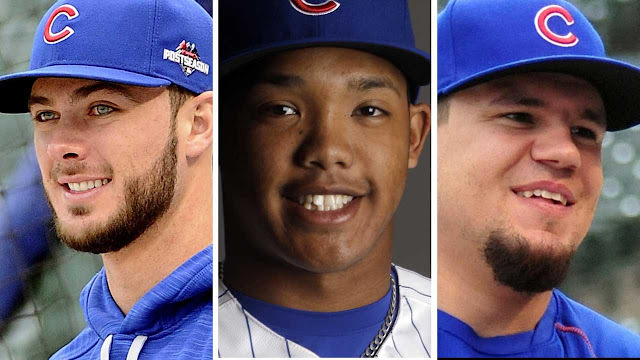 My Prediction: I think Bryant, Russell and Schwarber all fend off the dreaded Sophomore Slump and improve upon their 2015 seasons across the board. Oh yeah...the Cubs had another rookie that didn't make too many headlines last year. Jorge Soler's 2015, where he hit just .262 with a mere 10 home runs, was seen as a disappointment. A lot of that was because fans still remembered his torrid September call-up in 2014 where he hit .294 and bashed 5 homers in just 24 games. He also couldn't stay healthy, missing all of June and a few weeks of September. And despite being incredibly cheap (Soler makes just $3 million in 2016 and 2017, then $4 million a year from 2018 - 2020), many fans wanted to move Soler in a rumored deal to Cleveland for Danny Salazar this offseason. Man, do we have short memories. 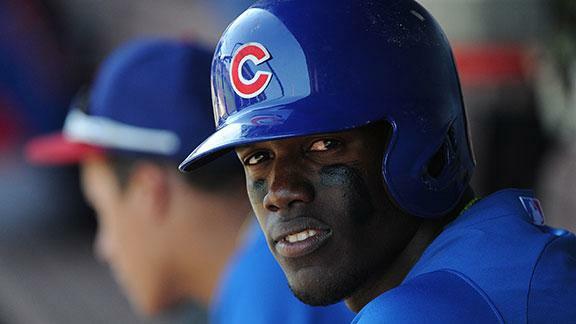 It wasn't that long ago that Soler was considered the crown jewel of all the prospects in the Cubs' system. As recently as 1 year ago, Baseball Prospectus rated him the #12 prospect in all of baseball. And holy crap, do you all not remember what he did in the playoffs? Here's a reminder of how awesome he was. I feel like Soler is flying under the radar coming into this season, and only on a team as ridiculously stacked as the 2016 Cubs can a guy that could hit .280 with 25-30 homers be considered 'under the radar' and, to some fans, entirely expendable. Dude can hit, and dude is going to hit this year. If you thought the Cubs' offense was stacked last year, imagine dropping a 25 homer Soler season right into the middle of it. I know I keep saying it, but seriously...this Cubs lineup is better than you realize. My Prediction: Soler settles in and posts a 23 homer season with at least 70 runs and 70 RBI while hitting around .270. Over the second half of last season, with Schwarber and Soler in the lineup, the Cubs were 6th in the Majors in scoring so it's fair to say that they were really damn good. Now swap out Starlin Castro's up and down 2015 for a bit more stability (especially when it comes to OBP) and about the same amount of power from Ben Zobrist. Now upgrade from Dexter Fowler to Jason Heyward. And we haven't even mentioned potential breakout candidate Javier Baez as someone that can rotate between 2B, SS and potentially CF. Plus we've got Chris Coghlan as bench depth at OF and 2B. The Cubs have clearly upgraded over last season at SS and CF. And a bounceback by Soler would give them an upgrade over last year's squad in RF. Schwarber will have a full season in left. If Bryant and/or Russell take even a small step forward, we could be looking at the best offense in baseball. Hell, it's not inconceivable that Anthony Rizzo could step up his offensive game too. Did you forget that he's only 26? As we mentioned here last week, Lackey slots into the rotation behind Arrieta and Lester and bumps Jason "Goddamn" Hammel from the playoff rotation. Adam Warren and a full season of Clayton Richard and Trevor Cahill mean the bullpen could potentially go 6 deep (Wood/Strop/Rondon are solid). My Prediction: Theo and Jed went out and filled every single hole that the 2015 Cubs had. There's no more work to be done. This team is the best team in baseball top to bottom. We could lead the league in both ERA and scoring offense next year. I cannot remember the last time the Cubs were this good. This is the best Cubs team since the 1969 Cubs. This will be the Cubs team we all tell our kids and grandkids and strangers kids about. The 2016 Cubs will win the World Series. Great article! I'm super pumped for this season!!! I don't like to get overly excited because of past experiences, but after reading an article like this and realizing just how good of a team the Cubs are, how do you not get extremely excited! Go Cubs! This is our year! 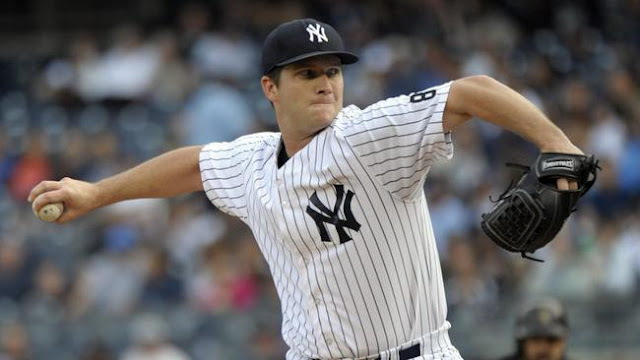 I think we probably pick up another starting pitcher in June too, just wanted to throw that out there.